It's been so long since I wrote anything in our blog almost 6 years. In these years a lot of good things happened! Our home based business start to grow very fast and we are now working at a warehouse with tons of wonderful people. We're building a new warehouse and hopefully in 18 months we start to work from our 12000sqf new location. We also changed our business plan too. Now we sell from our official website Nakpunar, at Etsy from our 4 stores and from Amazon . 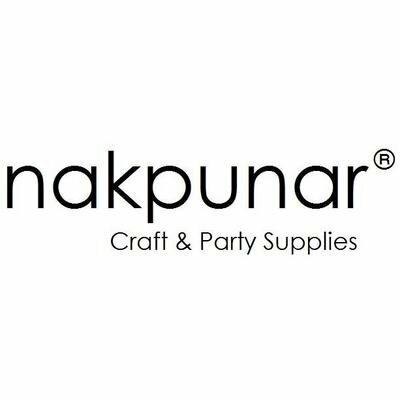 We registered Nakpunar to Trademarks and to Amazon and we continue to use it as our official brand. We start to works with big hotels, catering companies, boutique food stores, wedding organizers. We're so happy our items gone from hundreds to thousands. One thing didn't change though. We still sell our items without customization except our Decorated Flip Flops and the satin Buttons we covered with customer's fabric. We strongly believe to carry top quality wide variate items and let's our customers create their magic with them! We do not have minimum quantity and we offer wholesale prices. We offer all kind shipping upgrades and proudly serve Worldwide.